This past January, my husband and I decided to plan a trip to Florida to visit my in-laws. As we started to research and add up expenses (and boy do they add up! ), we began to seriously contemplate driving vs flying. We had driven there once before, BC (before children) with another couple. The trip was not fun, to say the least. The drive is 24 hours each way and we drove nonstop. Sure, we had four drivers and were able to take turns, but it was just uncomfortable and the worst part was the fact that our entire trip was only six days long. That’s two full days of driving and only four days of vacation. I remember spending most of those four days dreading the upcoming drive home. It was not fun. So then, why were we considering doing this again, with two small children in tow? Had we temporarily lost our minds or gone crazy? Not at all. We had a plan that sounded pretty good and were going to save a TON of cash, which in my book, outweighs most of the negatives. 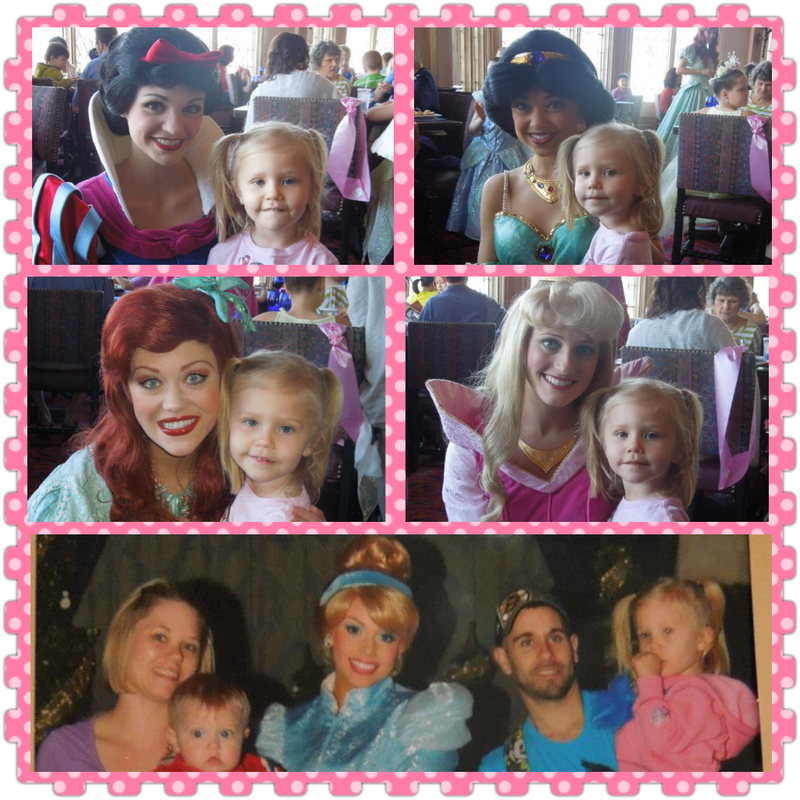 The trip was planned for one month after my daughter’s third birthday. This means she could no longer be a lap child on the plane and would need her own seat. The cheapest flights we could find for the four of us, and this was with our son on our lap, was over $2,000. On top of that, it would have been at least $1,000 to rent a car for the two weeks. Also, the thought of keeping my extremely strong-willed and fidgety three year old, plus our equally busy 10 month old, contained in one spot on a plane for three hours each way, was causing me more anxiety than I like to admit. Sure, three hours on a plane is much shorter than 24 hours in a car, but we could stop and get out and stretch our legs if we took car. Plus, we wouldn’t have an entire plane full of people hating us when our kids screamed the entire way. We came up with a plan. It seemed flawless, and honestly, it worked out pretty well. The day we left, we fed the kids dinner, let them play and get all their energy out, gave them tubbies, put on jammies, and left at bedtime. Then the kids slept all night while we drove and half of the drive was over with without them even knowing it! The next day we drove some after breakfast, which was my son’s nap time anyways, and stopped after lunch at a hotel, but not to sleep all night. We checked in, took a swim and a family nap, ate dinner, played some more, put on jammies, and checked out around 8 p.m. Then we drove again while they slept the night away! Us adults getting sleep was the tricky part. We had planned to spend a good chunk of the day that we left taking turns sleeping, but of course that didn’t happen. 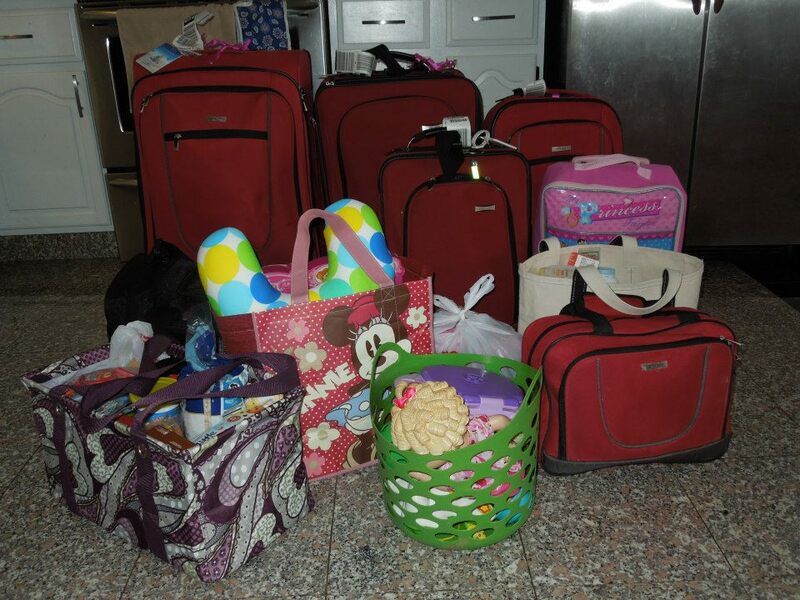 There was too much to do, (finishing packing, getting everything in the car, making sure nothing was forgotten, etc. ), as well as too much excitement about the trip! We also hoped to get more sleep at the hotel and in the car while the other drove than we actually did. The second night of driving was tough, since we were both really tired and just wanted to get there, but we did it! We arrived at my in-laws’ before schedule, around 3 a.m., which wasn’t a good thing since the kids were sleeping. We were able to transfer my daughter from the car to the house with no problem but my son wasn’t having it. Good thing we were at Vovo’s (Portuguese for grandmother)! She was able to play with him for a bit and get him back to sleep so my husband and I could get the rest we so desperately needed. My in-laws live about one and a half hours from Orlando. 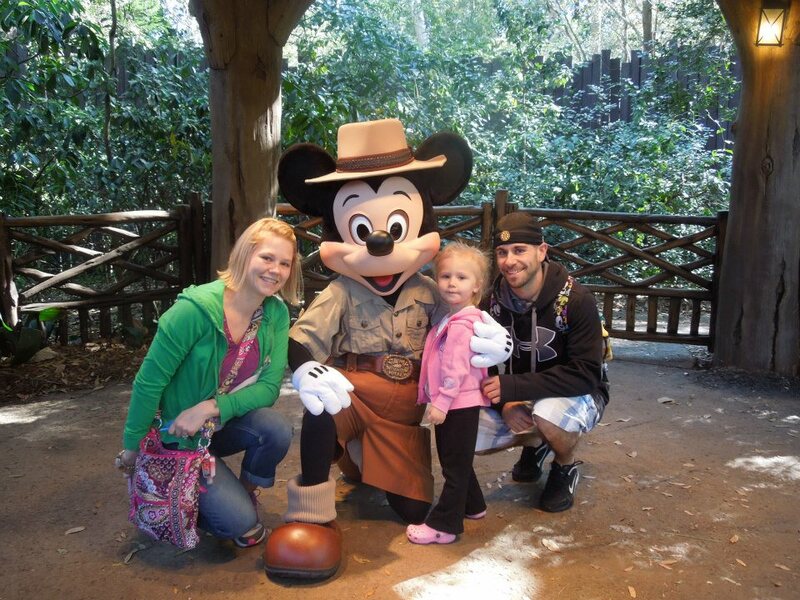 Our three year old daughter would have had no idea that Disney World was so close without us telling her, of course, but we couldn’t imagine going to Florida without paying a visit to Mickey Mouse. Originally, when we thought we were going to arrive by plane, we were just going to plan a day trip. That would have been ok, but not ideal. Because we decided to drive and saved so much money doing so, we were able to spend three days in Disney and really enjoyed the experience. The kids, my daughter especially, had a blast! We cannot wait to go back! We stayed at the new Art of Animation resort in a Finding Nemo family suite, which was amazing!!! I highly recommend checking this place out to anyone who is planning a trip to Disney. Not only is it affordable, but it is so great for the kids! And the suites are so very convenient. My mother in law came with us and she was able to go back to the hotel with our son and be in the bedroom so he could go to sleep. We could come back later at night and not have to disturb them at all since there is a second bathroom and separate sleeping accommodations. 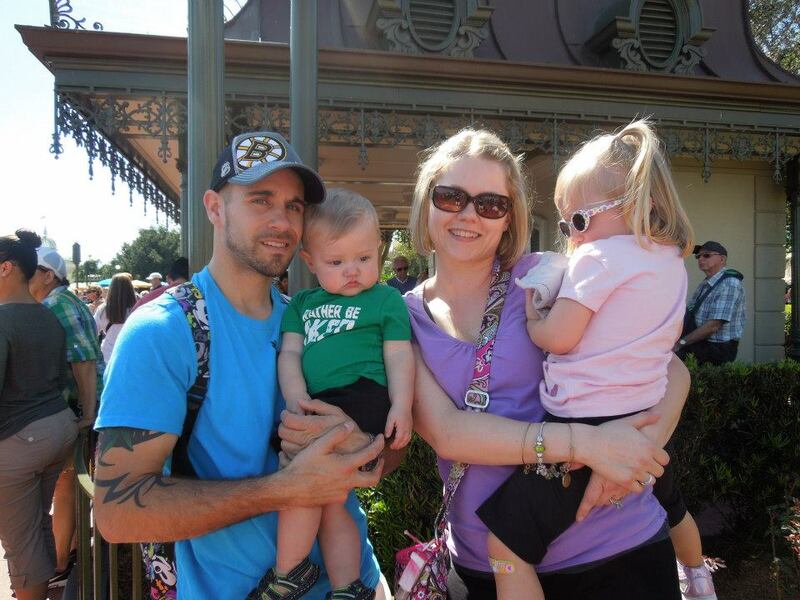 In our three days at Disney, we visited Hollywood Studios, Magic Kingdom, and Animal Kingdom. It truly is a magical place. I had an “itinerary” of all the things we wanted to do and see and surprisingly, we got to do everything without completely rushing and running around like crazy. This was mostly possible due to Disney’s Fast Pass system. If you don’t know what this is, or do not use it, you deserve a slap upside the head. Seriously. I don’t know why anyone stands in line for an hour or more when they can instead print out a ticket, come back an hour later, and hop right on the ride! It’s a beautiful thing! We also had lunch at Cinderella’s Royal Table. A-ma-zing. If you’ve ever been to Disney, you know that you need dining reservations for things like this, and you need to get them early. As soon as we booked our hotel, I booked this lunch, which was three months in advance and we were lucky to get it. It was such a magical experience that I will never forget! In addition to our wonderful time in Disney, we got to spend over a week with my lovely in-laws. The kids really enjoyed spending time with their grandparents. We did a few day trips, but mostly spent the time relaxing and chilling out, which was beyond awesome. Because we had more than a week in Florida, I didn’t spend the entire vacation dreading the ride home, like my previous experience. Also, we had something really cool to do on the way home, which we were really excited for! We drove home the first night the same way we started our trip, left at bedtime and drove all night, but this time, we stopped at a hotel to stay overnight. 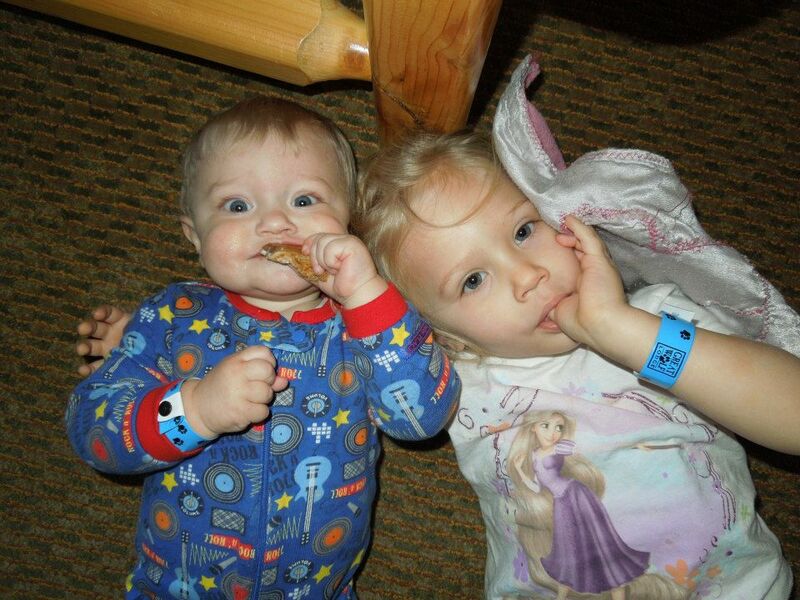 We stayed at Great Wolf Lodge which is a resort with an indoor water park. We all had so much fun- not just the kids! The second night of driving was just as bad as the drive there even though this time we had slept a full night at the hotel in between. The water park had exhausted us! But we made it home, safe and sound, and had never appreciated our beds so much. Brother/sister bonding at Great Wolf! Even though we had a much longer journey, it was an experience. And I’m happy to say it was a good one! We got to do a lot of things on the way and back from Florida that we obviously could not have done if we had flown. Gas, food, and the hotels did add up but we still saved a lot from not flying or renting a car. A few people have asked me, “Would you do it again?” and the answer is Yes, I totally would! It really wasn’t half as bad as I thought it would be. I know flying would be much quicker and as the kids get older, it will probably be the better option for us, but what we did worked out great. I’m already planning our next driving adventure in my head: taking a month and driving cross-country with the family in an RV…hopefully within the next 10 years. I can’t wait to cross that off my bucket list! Maybe I am crazy?! You are brave! We drove to the Outer Banks with a 13-month-old while I was pregnant with our second child. It was the longest 15 hours of my life. I am too scared to take the kids on a plane. LOL!